The Stewart National Guard Air Base in Newburgh, N.Y., was required to capture initial storm water runoff during every storm event for testing prior to discharge to the publicly owned treatment works. To help minimize storage equipment costs, the design engineer wanted to utilize two existing open-top lagoons with no coverings. The lagoons were to be lined with an impervious geotextile membrane placed on an earthen base, which in turn posed a problem for anchoring an air distribution system. The storm water lagoon would remain empty until a storm event. The mixing equipment had to be durable enough to handle the harsh environmental conditions that would occur during the cold winter months. 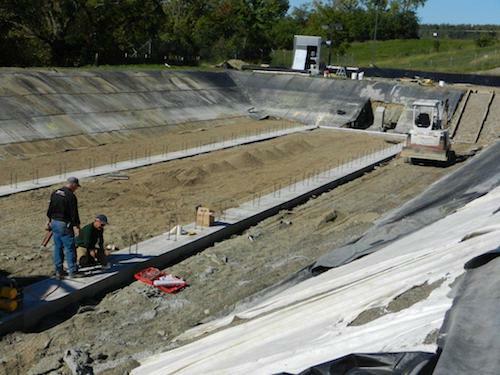 Engineers from Red Valve Co. and Tideflex Technologies provided a maintenance-free coarse bubble mixing and oxygen supply system for each storm water lagoon. To anchor air distribution piping down and prevent floatation from buoyancy, engineers designed a concrete footing that would follow the piping route. Contractors installed the footing and anchored the pipe support rods to the concrete. 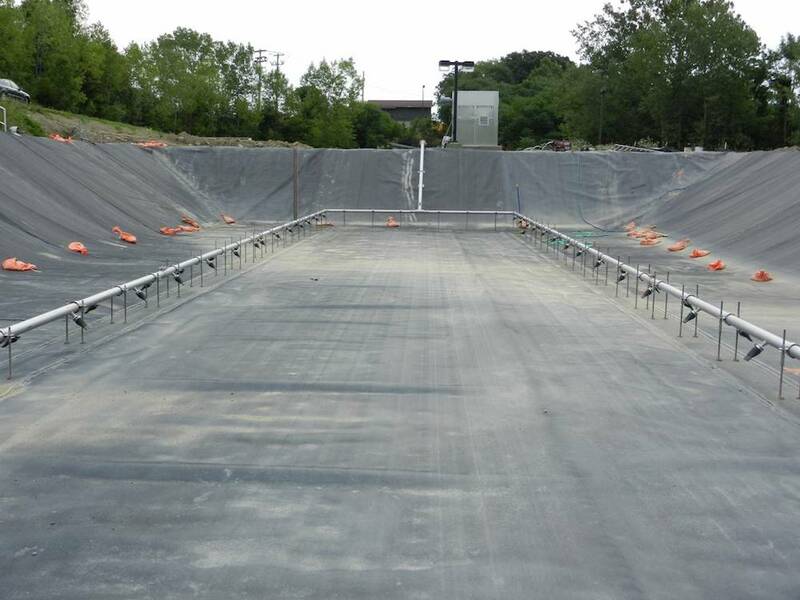 The geotextile membrane installer placed the membrane over the earthen floor and concrete footings, and provided a fusion-bonded seam around all rod penetrations, maintaining the containment integrity of the liner system. After the liner was installed, the remaining portion of the coarse bubble mixing and oxygen supply system’s equipment could be installed on the support brackets. The two storm water storage lagoons now are operated as containment vessels, with complete mixing and dissolved oxygen transfers keeping fluids aerobic. Solids and debris in storm water are re-suspended prior to pump discharge of the storm water from the vessel. Tideflex diffusers located 2 in. off of the floor provide mixing energy to re-suspend solids. During storm events, the coarse bubble mixing and oxygen supply system’s design consistently has proven strong enough to handle snow and ice accumulation in the storm water lagoons when required without affecting air discharge.